Have you been looking for a quality locksmith in the Citrus Heights area? Then the master locksmiths at CRS Locksmith are the ones for you. Our locksmiths are all highly trained and can perform a number of locksmith services for you. Whether you’re trying to get back into your car, or you need rekeying services for your home or business, the expert locksmiths at CRS Locksmith are ready to help you. As a local company, our mobile locksmiths are happy to service the greater Sacramento area. Set up your appointment with your local locksmith in Citrus Heights and the surrounding areas today to get premium locksmith services for your home, car, or office. Whether you’re looking to get back into your home, or you need to make your company a little safer, your local locksmith in Citrus Heights is ready to help you. Just outside of Sacramento, Orangevale is nestled nearly right in the middle of Folsom, Citrus Heights, and Fair Oaks. When you need a local locksmith in Orangevale, be sure to call the masters at CRS Locksmith. Need high-quality locksmith services for your Rancho Cordova car, home, or business? Then trust CRS Locksmith, the master locksmiths in Rancho Cordova, for all of your locksmith needs. With old town style shops and great views, people in Fair Oaks live quiet lives. Whenever you need a quality locksmith in Fair Oaks, be sure to call the experts at CRS Locksmith. Everyone in Citrus Heights, Orangevale, or any of the surrounding areas knows exactly how frustrating and scary it can be when you’re locked out of your house. If you ever get locked out of your home, rest assured that the master locksmiths at CRS Locksmith can help you get back into your home without doing any extra harm to your doors or locks. But we’re more than just an emergency locksmith. Our expert locksmiths can also rekey your home’s doors, with master key options available. We can also help with lock repair as well as lock installation, should you ever need it. Because we’re mobile locksmiths, we can come to your home anywhere in the greater Sacramento area. Don’t hire a run-of-the-mill locksmith to get back into your home, trust the master locksmiths at CRS Locksmith, your local locksmiths in Citrus Heights, Orangevale, and the surrounding areas, for high-quality locksmith services. 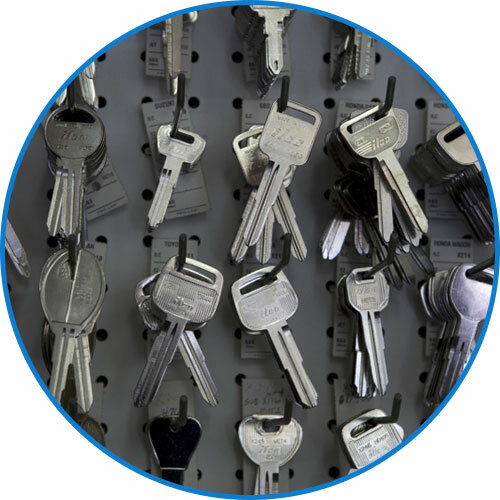 Though you may not think of it as a high priority, having your company’s locks serviced on a regular basis is very important. If you just moved into a new building, or you’ve changed employees who had access to the keys of your business, you may get unwanted guests in your company after you shut down for the night. That’s where the master locksmiths at CRS Locksmith can help. Not only can we rekey the locks of your company, but we can put in a master key system, meaning one key can open every door, while other keys are only good for a select few. If your business needs lock repair or lock installation, our expert locksmith can help with that as well. As master locksmiths, our locksmiths have trained for years and have extensive knowledge of all types of locks and techniques. And because we’re mobile locksmiths, we can come to your store or company to help with all of your locksmithing needs. There’s not much that’s worse than locking your keys in your car. Not only can’t you get back into your car, but most of the time, the keys are just sitting there mocking you as you try to maneuver your way in. Never be stuck outside of your vehicle again with the expert car locksmiths at CRS Locksmith. We can get you back in your car, truck, or SUV in no time at all. And since we’re mobile locksmiths, we can come to your location, no matter if it’s in Rancho Cordova, Fair Oaks, or any of the surrounding areas. We also specialize in motorcycle locksmith services as well as boat locksmiths services. So if you’re stuck on the side of the road on your chopper, or dropped your boat keys into the water, don’t worry, because the master locksmiths at CRS are just a phone call away. We can duplicate car keys, extract broken keys, program fobs and proxies, and much more! Call your local locksmith at CRS today for all of your car locksmith needs. Whether you need help installing the new locks on your home, or you need to make your new business safer with new locks, the master locksmiths at CRS Locksmith are ready to help you. No matter where you are in the greater Sacramento area, you’ll be covered by the mobile locksmiths at CRS Locksmith. Our master locksmiths are ready to help you with all of your locksmith needs, whether it’s for your home, car, or company. Contact your local mobile locksmith today to set up your appointment and get the best locksmith services in the Citrus Heights area.